Check out the National Holiday that WE CREATED - National Mason Jar Day (Nov 30) on our blog ! Happy Unboxing! 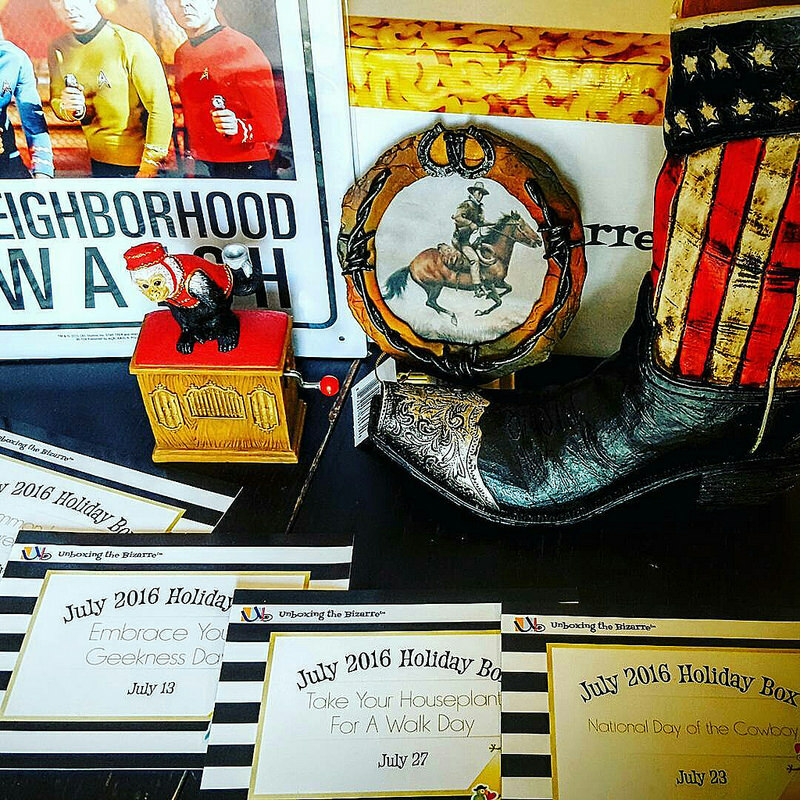 The Standard Box includes at least 4 items (1 x 4 holidays) based on 4 different weird, wacky, and offbeat holidays for the upcoming month and comes with an information card that includes some brief trivia about the holiday and some interesting suggestions on ways you can celebrate in all of the wackiness. You will receive a box with over $60 (MSRP) of wacky, wild, and downright fun items for 39.95 +8.99 S&H.